In this video, serial entrepreneur and veteran finance expert, Kim Snider shares how she started her membership site Sane Crypto, and pre-sold her program all before she ever created a single piece of content for her members. She also shows how she built her membership site with Memberium for ActiveCampaign in just under 2 hours (this doesn’t include the time it took to create all the course content). 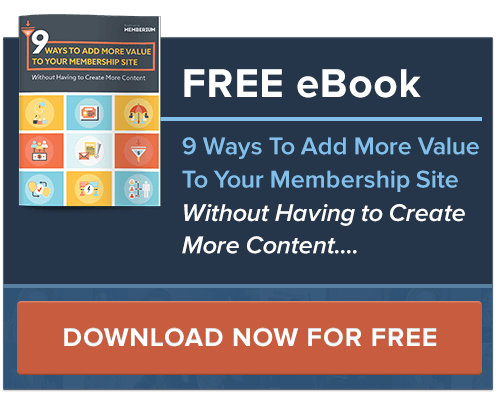 People always think you need to spend a ton of time, money and effort in releasing the first version of their membership site. The truth is it doesn’t need to be that complicated! Want to learn more about Kim’s Reverse Funnel process? Dissover how to create a $100,000 online course by end of 2018 … without a blog, email list, team, huge ad budget … (or even a product)! Kim was kind enough to offer a great deal for all Memberium subscribers on her “Reverse Your Funnel” program. Until August 17th, 2018 you can get Kim’s “Reverse Funnel” program for just $497, which is a full $1,000 off the normal price of the course. On top of that she’s including a full money back guarantee, so if for any reason you don’t think it’s worth it, Kim will give you your money back, no questions asked! Over the years Kim has started over 14 different businesses. One of them, an investment firm, was on Inc 500 list for 2 years in a row. You’d think that someone with all this experience would build a pretty advanced membership site with a pretty complex marketing funnel, right? While most membership owners create content first, Kim listened to her target audience feedback and designed her product accordingly, thus she ensures right from the beginning that she has a product which her audience really wants before investing more time in marketing, or improving it. In this video, Kim breaks down her process for coming up with a hook and how you can do the same with your own membership site or online course. The “Reverse Funnel” concept a lot simpler than you think. She followed this approach in starting Sane Crypto. Micah thinks it’s the smartest approach everyone should take when starting a new membership site or online course. Kim also gives us a firsthand look at how the ActiveCampaign Automations are setup for her membership site and walks us through how their setup. For anyone in the early stages of starting a membership site or are thinking about starting a new one, there’s a ton of valuable tips in this video that you won’t want to miss checking out. If you’re interested in learning more about what Kim has to teach about investing in crypto, you can check out Kim’s website www.sanecrypto.com or check out her podcast at https://sanecrypto.com/podcast/. To learn more about Kim’s “Reverse Your Funnel” Course, you can check out https://reverseyourfunnel.com. Until the end of August 17th, she’s offering a huge discount for all Memberium subscribers on her course. Just use the promo code Memberium on checkout to save $1,000 off the normal price of the program. How to identify your target audience and find an irresistible hook that incites them to buy your product. What is “reverse funnel concept”, how it works and why it’s the safest way to start your membership site. How you apply minimum viable approach to everything including your membership site and content itself and yet market it successfully. Understand what is most essential aspect to focus on and what is not in the initial stage of your membership site launch. How to quickly put up a membership site, within hours. A uniquely style of personalized communication and a tool Kim uses for it. The right way to create your content that is going to sell. How Kim generates leads and how she gets these leads to consistently join her membership site.